You can pick up most of Telltale Games' entire catalog in the newest Humble Bundle. The newest offering from the folks over at Humble Bundle is a godsend for fans of Telltale Games. It's even better if you've always wanted to try out Telltale's titles, but never got around to it. In the bundle, you can get most every game the company has made, and you can do it for just $15. Jumping up to the final, $15 tier gets you Batman: The Telltale Series, Minecraft: Story Mode, and the Minecraft: Story Mode Adventure Pass. As usual, buying any tier gets you a 10 percent off coupon for Humble's Monthly subscription service as well. This month's bundle features WaterAid of America as its charity, but you can always select your own if you'd like to see your donation go elsewhere. You can grab the Humble Telltale Bundle until next Tuesday, July 25. See, I quite like the various offerings from Telltale Games (despite my deep-seated hatred of QTEs) but they seem to have trouble carrying on their stories. OK, they made a decent run of The Walking Dead, but The Wolf Among Us? Great story, season 1 left on a cliffhanger, no season 2. Tales From The Borderlands? Great story, season 1 left on a cliffhanger, no season 2. I recently found myself looking at season 1 of Batman, but decided not to get it because I didn't want to invest into yet another story that they won't run with. I was going to say that I hope literally no one drops $15 on this bundle but looking at the top contributors I can already see that my faith is misplaced. Well at least I can reserve some satisfaction that the average amount of the 42000 sales so far have only chosen to beat the average. If anything I wish Telltale would go back to actually making Point and Click games like Sam & Max or Monkey Island rather than continue unloading trash like Minecraft: Story Mode. ... but The Wolf Among Us? Great story, season 1 left on a cliffhanger, no season 2. No it didn't. It raised some doubt at the end, but the story was resolved. That's not a cliffhanger. Tales From The Borderlands? Great story, season 1 left on a cliffhanger, no season 2. That wasn't even close to a cliffhanger. It was a "the adventure continues..." kind of deal. The only thing left hanging was the contents of the vault, which wasn't the point. 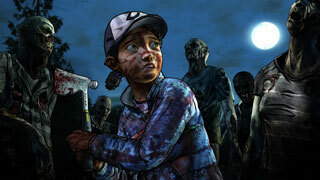 Hmm I sort of agree with you about that but have an inverse opinion on the games, The Walking Dead felt like it was just dragging on with Season Two especially with how little actually happened with Clementine in comparison to Lee from the first Season and from the little I've watched of Season three it just seemed like a repeat of the second season but with Clem being older. I dunno, in season three Clem has become the sum of all of the decisions you have made in seasons one and two, and there is a great satisfaction in seeing how 'your' Clem has come to cope with the world. Bear in mind that Clem is an NPC in season three, and any actions she takes are taken based on the lessons she learned in seasons one and two.